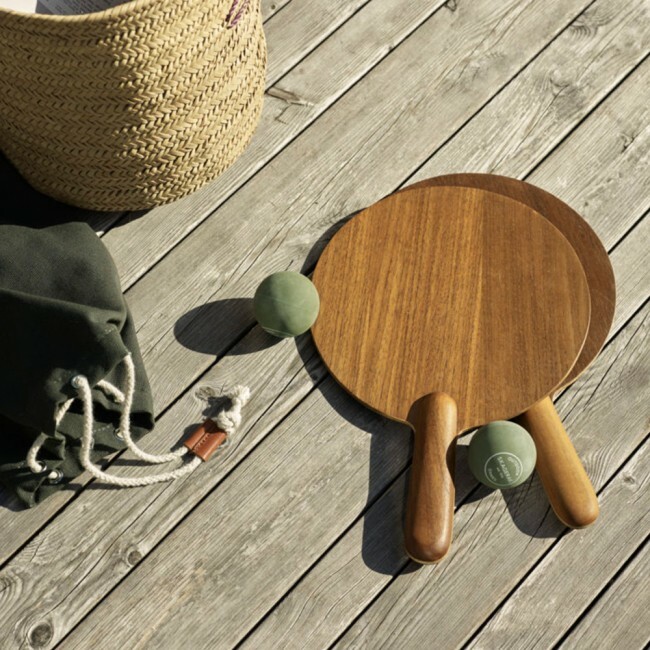 Known as matkot in Israel, as frescobol in Brazil and as racchettoni in Italy, beach tennis is popular all over the world, because it is easy to learn and fun to play for people of all ages. You can play it in the garden too, and the goal is to hit the small rubber ball back and forth without letting it fall on the ground. 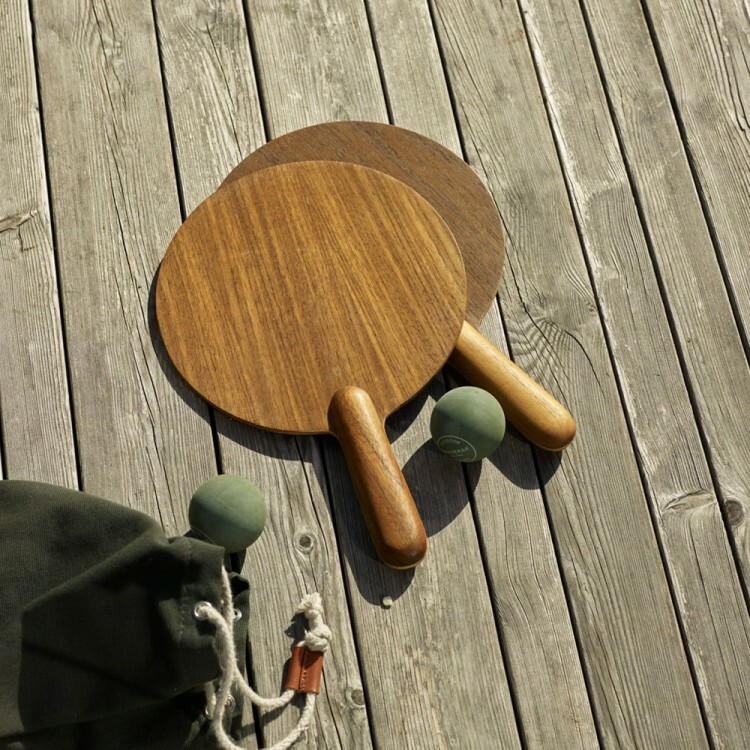 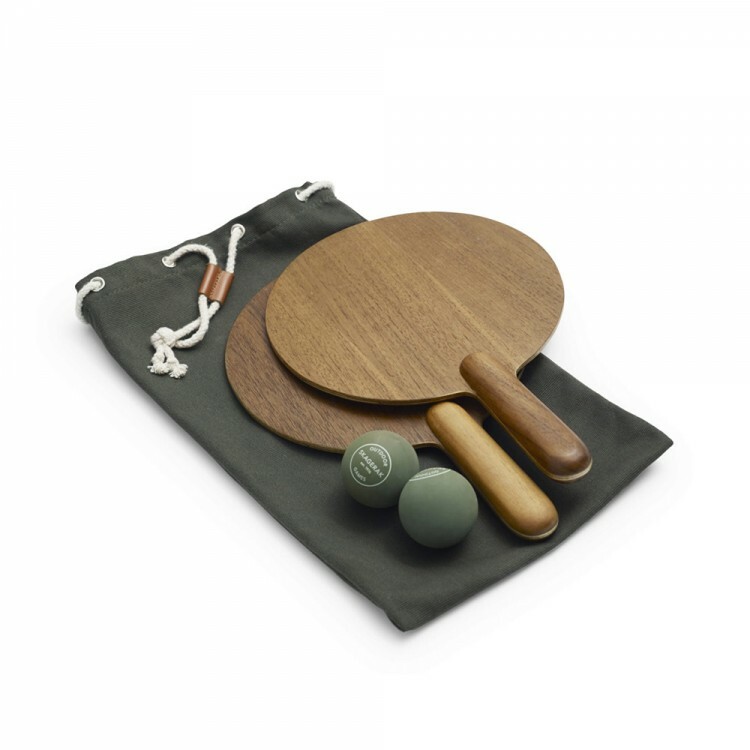 The set consists of two rackets in teak and two rubber balls and comes in an attractive canvas bag.